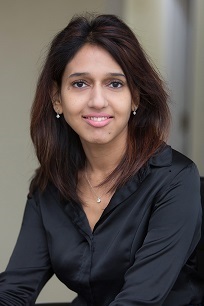 Dr Sumi Soori is the Lead GP at Roseneath Medical Practice. She qualified from Imperial College School of Medicine, London in 2001. She worked as a junior doctor at Kingston and Epsom hospital, before going on to complete her vocational training for general practice in Tunbridge wells. She completed hospital posts in general medicine, surgery, obstetrics and gynaecology, paediatrics, accident and emergency and psychiatry. She has also worked as a local NHS GP for over 10 years. Dr Soori is able to offer a broad spectrum of services to her patients, including day to day general practice consultations, fertility assessment and counselling, family planning advice, immunisations, travel vaccines, mental health management etc. She has a strong interest in Paediatrics and Women’s health. She is passionate about her role as a family doctor, and enjoys caring for her patients in a friendly and sincere way. Our team of clinical support staff members ensure that everything at the practice runs smoothly and always aim to provide a first class customer experience for all of our patients. They will always ensure that our patients’ visits to Roseneath are as comfortable and relaxing as possible.